- Introduction of a new form of cruelty towards animals for fun takes Croatia back to the Stone Age. The Draft proposal of the Hunting Act contains a number of backward provisions which not only compromise the existing achievements of civilisation, but also make difficult the protection of wild and even domestic animals. 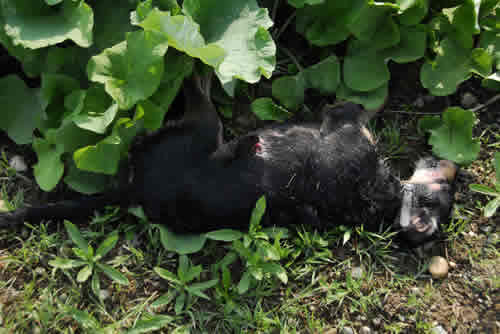 Therefore, the Animal Friends Croatia association has warned the Government to a possibility that such a draft proposal be brought forward and has given its opinion and proposals regarding only the two disgraceful provisions – a proposal by the competent Ministry that a hunting with bow and arrow be introduced as well as a possibility of killing of dogs and cats by hunters. The Draft proposal of the Hunting Act allows the possibility of hunting with bow and arrow, which up until now has not existed in Croatia nor have the requests by some of the hunters to introduce such a method of killing of animals been considered. 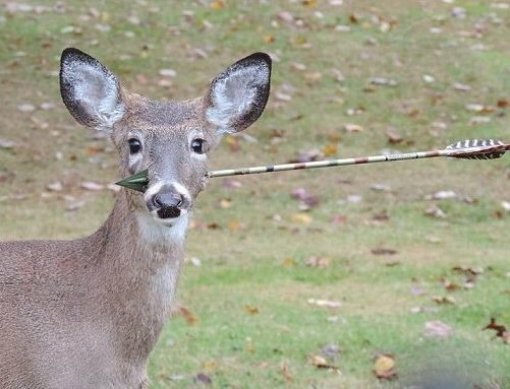 Proposers of the Draft explained that hunting with bow and arrow would not "cause unnecessary pain and suffering to game animals" and that by introducing this category of hunting, we "enhance our tourism offer". According to such absurd logic, we can soon expect proposals to introduce hunting with spear and axe. 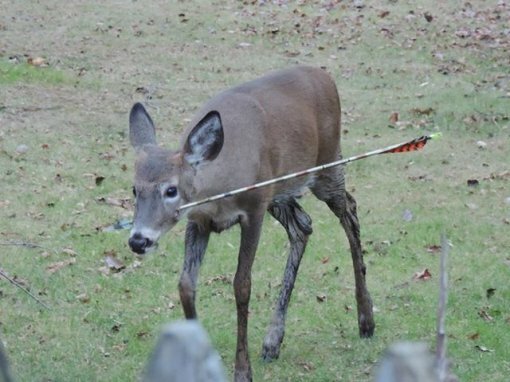 Allowing the possibility of hunting with bow and arrow is ethically backward and such hunting causes a lot of animals to be wounded and maimed. The number of hits which actually kill animals is extremely low and hits mostly cause animals to be wounded, maimed and lead to a slow death in agony, which, after an animal has been wounded, can last up to several days or weeks. 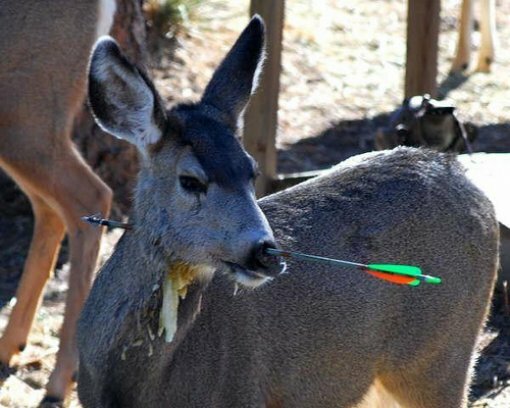 Also, usage of bow and arrow as a method of population density control of game animals is not efficient nor is it being implemented, which means that the sole purpose of this kind of hunting is sadistic recreation and boasting of individuals, and that is not the reason for this cruel practice to be permitted by law. 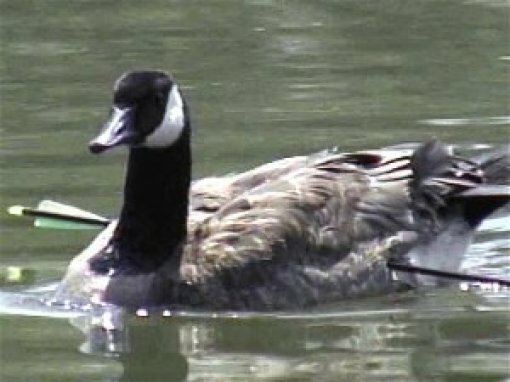 By permitting hunting with bow and arrow, a new weapon extremely dangerous for the safety of people due to its noiselessness, would be introduced. Such a noiseless weapon can also be dangerous to the hunters themselves, who often get hurt by the hands of their colleagues, as well as for the citizens who, while walking through the countryside, can get hit by an arrow. This new weapon will have to be registered, and to do that, a large number of laws, ordinances and other regulations will have to be changed, which will overburden an already overburdened state bureaucracy and require substantial expenses. To introduce the hunting with bow and arrow can only have negative effects on Croatian tourism. The fact that Croatia has so far had a ban on this kind of hunting is by all means justified and it should stay that way. Animal Friends Croatia demand that the terms "to remove" and "removal" of cats and dogs, if they happen to be 300 meters away from their owners' home without supervision, not be interpreted as a synonym for killing, which is something a lot of people do, out of sheer wantonness. Dog guardians are fearful for the lives of their animal friends in a country in which no one should have the power to intimidate. Animal Friends Croatia have made a proposition that instead of the terms "to remove" and "removal", the terms "to relocate" or "relocation" be used, and in doing so, it would then unmistakably be clear that it is a matter of moving from one location to another. The hunters are not entitled to take care of domestic animals, nor are they allowed to use weapons in order to "remove" them. 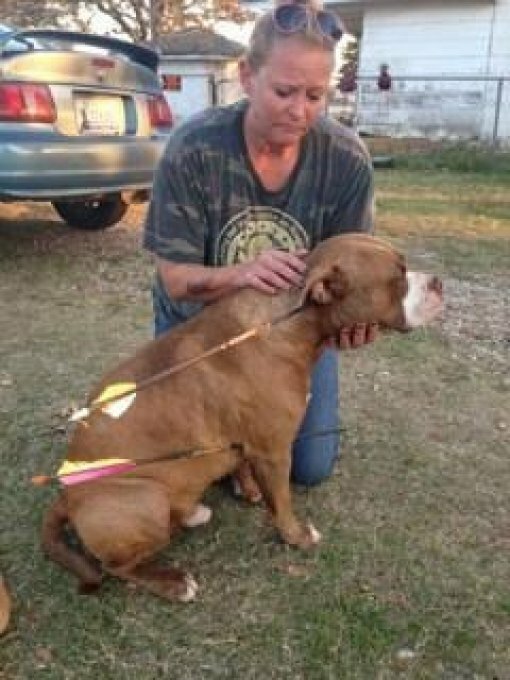 This outdated provision should be altered due to a possible misuse and also since there have been laws and ordinances in force for a long time now, which regulate the responsibility of the guardians and taking care of abandoned animals. The Republic of Croatia should not tolerate wounding and killing of innocent animals, which cannot defend themselves, by way of new deadly hunting methods. It would be a disgrace for Croatia to promote the killing of animals with bow and arrow as a part of its tourism offer. Shooting at animals with bow and arrow is neither fun, nor a sport, it is not a recreation, nor is it tourism, it is but a barbarism. Animal Friends Croatia are advocating for the enhancement of Croatian tourism offer with an eco-hunting, i.e. "hunting" with cameras, instead of cruelty towards animals.